"When I was first invited to attend CACCLC in 2014, I thought, oh, this is probably just another one of those Catholic retreats that are boring, why would I want to go? Being quiet and shy around new people, I was reluctant to go because I always end up standing in the corner, alone and scared, but eventually, I gave in. One of the first things I learned was that a camp is very different from a retreat. There was a good mix of energy and serenity throughout the weekend, and I was greeted by friendly welcomes from Chinese Catholic campers at various stages in their faith. I was very touched by the amount of kindness these campers had towards new people and felt as if it was a reunion more than a “I just met these people a few days ago.” You never know who you’ll meet at camp and the experience you’ll get out of it, and I was very glad I decided to go. There has been no other place where I can be in this same environment, surrounded by other Chinese Catholics, and this is an something I will cherish and share with these friends for many years to come." “I had been passively looking for a young adult group for some time without much success, when one day, my dad randomly brought home a CACCLC flier from his Chinese church. Although it piqued my interest, I was a little hesitant to go alone. I tried to coerce my brother into coming along but he stubbornly refused (typical). After much doubt and deliberation, I convinced myself to just go. When I arrived, I was shocked to find so many Chinese Catholics under the age of 50 gathered in one place that weren’t related to me! I felt like I had stumbled into a nest of rare and mythical beings! Everyone was so friendly and welcoming that I didn’t feel out of place at all. I had such a lovely experience participating in Taize for the first time, brainstorming hilariously ridiculous skits, singing off key during praise & worship, and making new friends who could relate to me both culturally and spiritually. And the best part was, I discovered that a young adult bible study group had just been started in my area with some of these amazing people! Hallelujah!! So “if today you hear His voice, harden not your hearts.” Don’t delay! Come today! CACCLC will allow you to nourish your FAITH, foster new FRIENDSHIPS, and have a whole lot of FUN! P.S. My brother finally attended camp several years later and loved it (can I say “I told you so!”) We are both repeat customers now!" "Before I went to CACCLC last year I found myself in a state of just going through the motions with my faith. I reached one of those points where my faith was stale, uninspired, and stagnant. I think CACCLC really helped to reawaken my passion for Christ, particularly through the faith-sharing, testimonies, and presence of other Catholics and priests who are also struggling on their journeys to holiness. It helped serve as a reminder for me that I am not alone in my faith journey and that the reward is so worth the struggle." 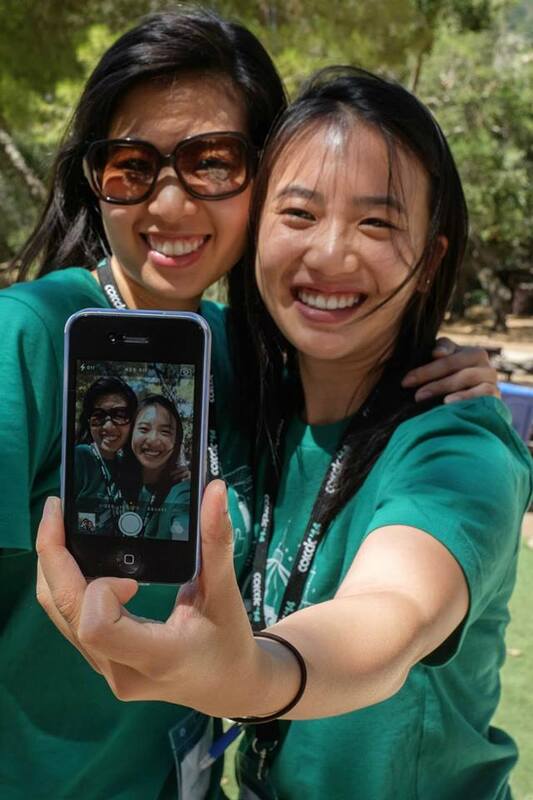 "When I first arrived at CACCLC, I was skeptical about how the camp would go. I lost my faith during the time I spent in college, and I only attended to accompany one of my friends. I questioned if I would have a good time, wondering if it was really worth spending a whole weekend here. But soon after, all doubts were cleared when I met all the amazing people at CACCLC. Some were college students like me who had fallen away from the faith in college, as they shared their wonderful stories about how they were able to get it back. At first, even after hearing all their anecdotes, I still didn’t really comprehend. For once, I didn’t have the resource to calculate an answer or formulate a hypothesis, like I did in all my science classes. It was during Adoration, when I closed my eyes to listen to the music. It took me a while, but I finally understood why I had fallen in the first place. I was always too focused on school work and too worried about not getting into medical school. All I needed to do was to pray and let God do the rest. Looking back now, CACCLC was an eye opening occasion for me, and I still believe that God is steering me in the right direction. Even if you’re not sure about going, give it a try. I guarantee that the weekend will be one of the best you’ve ever had." "One of my favorite memories from CACCLC is bonding with the campers especially during morning exercise and late night activities. I like that CACCLC is a place that I can come back to every year to be myself with other campers. I've said this before and I'll say it again, although I don't see everyone from camp on a consistent base, people remember you and when you reconnect with campers the following year, you pick up where you left off. Going to CACCLC allowed me to grow in my faith and meet life long brothers and sisters to help me through my spiritual journey."